Fear finds a way and appears when you least expect it. ( where have you been hiding?) Fear settles in the body like cement, hardening with every new thought. The order is given, a combat begins within, there is a slow release of panic. Pay attention to the feeling, stay silent and listen. Time to draw a way out, to push through and rise above it all. I decided on a mash up today, I took an old watercolor I never finished and created a new mixed media piece layering it over the old painting. 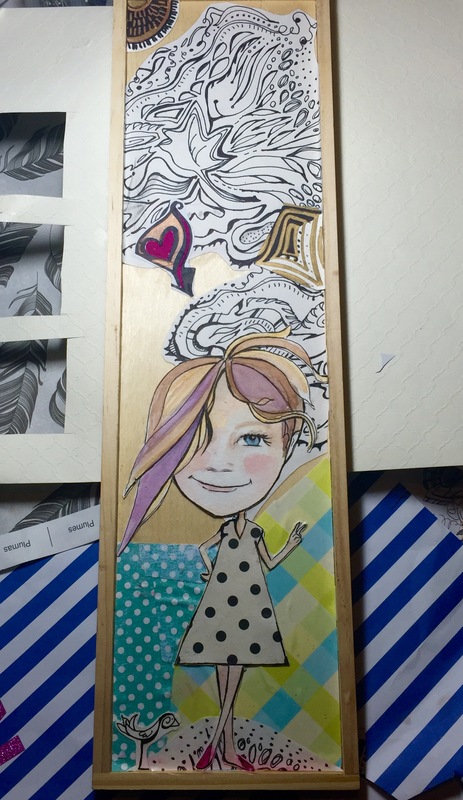 The figure was pieced together with decorative wrapping paper, marker and watercolor paper. -Mixed media on watercolor paper. Making peace with the creative chaos that is my life.